Wearing a fluorescent green tutu and a flowery bandana on her head, La Marisoul was the first hit at Vive Latino this year. “Who is she?” questioned the people around me in the audience, not knowing that her band La Santa Cecilia (the very first opening act of this year’s Vive) is a Grammy award winning band –an award for which only about three percent of the lineup had even been nominated for. Performing at such a magnus festival was a big deal to the L.A. band, which was virtually unknown down in Mexico. When their thirty-minute set was over, they walked back to the backstage knowing they had finally showcased their songs to a very pleased audience –a much more Mexican and much younger crowd than what you’d found in their gigs in the states. It’s not that fun to play the hipster snub critic game, but there was something that bothered me about their performance, and other La Santa Cecilia shows I’ve attended in the past. As a way of connecting to the audience, La Marisoul keeps shouting populist formulated expressions -sworn in Spanish of course- looking for the instant gratification that comes with it. Not to say that such stage practice isn’t genuine from such a fervid live act, but there’s a whole box of cheap thrills that they open up when subscribing to such an obvious provocation. Because really, there’s not much of a difference between the straining effect of shouting “Eso Chingao!” and that offered by putting Día de los Muertos skulls on the poster of your next Latin event. I was hoping it wouldn’t, but a lot of that discomfort transfers to tape in their latest record. At 29 minutes long, Someday New is a set of pristine-produced songs that are just a bit too polished and straightforward for their own good. A chicanonized (via a Tejano accordion) cover of the Beatles’ “Strawberry Fields Forever” opens the album. La Marisoul’s voice is undeniably profound and indeed, soulful. It’s inevitable not to take such an opening as a statement for cultural clashing and a tailoring of identity. But don’t trust me too much on Chicano agency; my idea of the best Chicano musicmaker around is Central Valley’s Installed, who really couldn’t care less about these cultural wanderings. 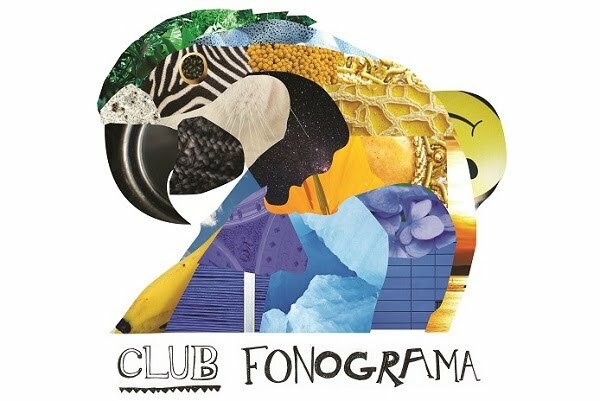 The record quickly changes gears with album highlight “Cumbia Morada,” practicing a very quintessential (but nicely paced) approach to cumbia. Things don’t get any better from there as they get into an all-encompassing conduct of covering every Pan-American sound they can, from the ranchera “Como Dios Manda” to covering José José’s “Cuidado” in tango. The execution of the music is clean, but there’s little outside-the-box exploration of the language of music. Writing about Someday New is neither entertaining nor a shore. It’s almost a responsibility considering La Santa Cecilia has dethroned Ozomatli as the Latin token card in the industry. La Marisoul appeared next to Gloria Trevi, Kat Dahlia, and Leslie Grace at Billboard’s Divas Panel this year, sitting on the alternative music slot Carla Morrison took last year. 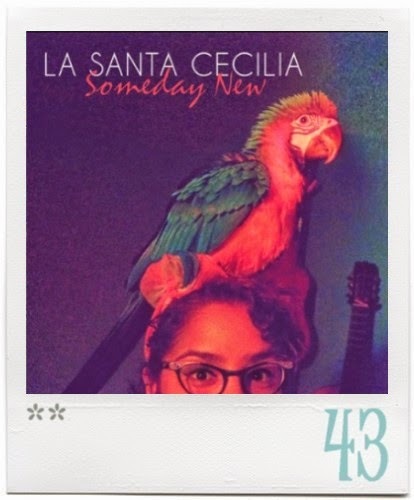 There’s no denying La Santa Cecilia has worked hard to get here, and the intentions are certainly in the right place. Becoming the it band puts attention and responsibility right in front of you. And it's for the same reason, that the public and the media should demand to be represented with a less obvious sound and more awe-inspiring risk.